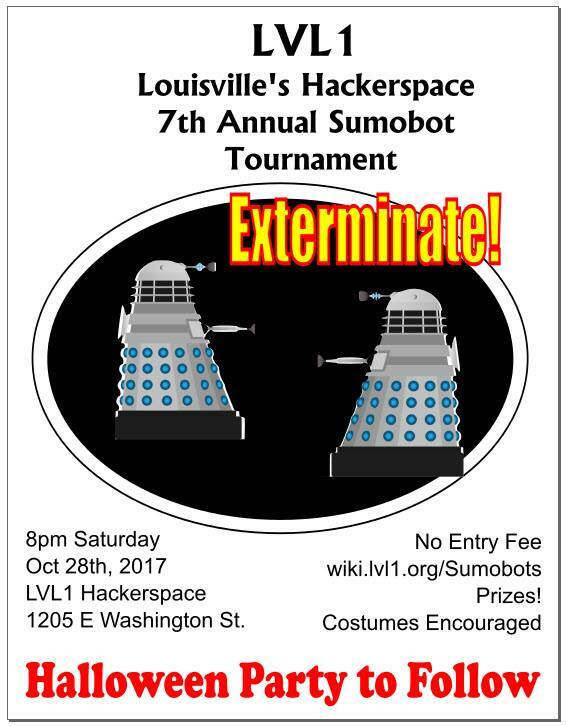 It's not too early to think about building your own sumobot. Come to LVL1 and learn how! 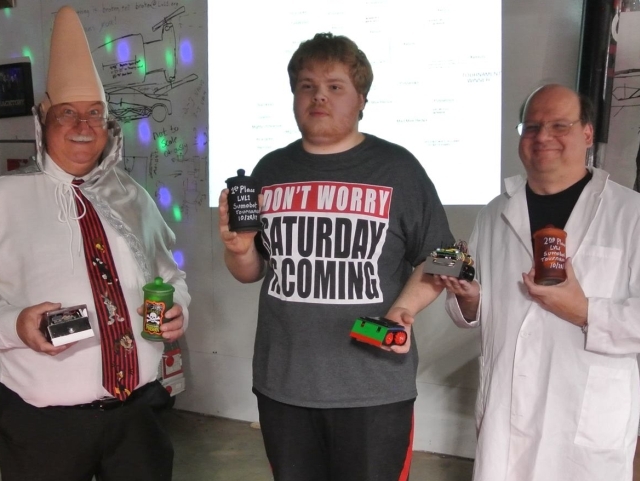 (Louisville, KY) LVL1, Louisville's premier maker and hackerspace, is one of 80 recipients of a $50,000 grant provided by the Small Business Administration Fund Competition for accelerators and spaces designed to give access to tools, mentorship & education for entrepreneurs, tinkerers and makers. In total, $4.4 million was made awarded to organizations across 39 states, the District of Columbia and Puerto Rico out of a pool of over 400 applicants. Since inception in 2010, LVL1 has been a destination for thousands of people to learn, make, collaborate and socialize in a space full of tools that include laser cutters, 3d printers, a smart classroom, a full woodshop and metalshop. LVL1 will use the grant to purchase additional tools frequently requested including both a ShopBot CNC and an embroidery machine in addition to improving the 8,800 square foot Butchertown facility with enhanced lighting and ventilation. Additionally, LVL1 plans to offer additional training courses and workshops that will include: microelectronics like Raspberry Pis, Arduinos; startup cofounder meetups; and beginning fabrication. "We are an open community uniquely positioned to help anyone that is curious or wants to learn nearly any skill set," commented Danielle Blank, LVL1's President. "We encourage anyone interested in learning, making and doing to visit our space through our open hours or events and consider joining as a member to gain access to the existing and new equipment." The purpose of the competition was to draw attention and funding to parts of the country where there are gaps in the entrepreneurial ecosystem. While there are entrepreneurial activities occurring nationwide, some are better supported by private sector ecosystems than others. 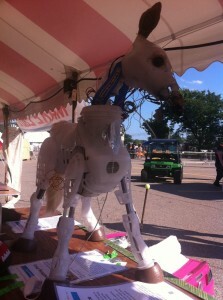 This past weekend LVL1 traveled north en masse to The Henry Ford for 2011's Maker Faire: Detroit. LVL1 would like to extend a heartfelt thanks to all the staff and organizers who made this event possible. Great work! We'd like to thank OmniCorp Detroit and i3 Detroit for their hospitality. Your members put in a lot of work to welcome spacers from all over the Midwest. A thousand thanks and in case you are wondering, we burned those pants. Thank you to all the other spaces that we met and hung out with. Our spacer community is strong and is overflowing with goodwill. We love you all. If you find yourself in Louisville, our door is open and we'll keep a soldering iron warmed up for you. This was our first time there as a hackerspace (we're only a year old), but we were well represented. LVL1 managed to spread ourselves out to 4 different exhibition areas! There was the LVL1 table with ongoing hackerspace projects. White Star Balloon, our Pow-Pow-Powerwheels car "Steve" and Butterscotch: the fire-breathing robotic pony. LVL1 was honored with the Maker Faire Editors Choice Awards for 3 entries. White Star Balloon: It's the little robotic balloon taking flight for a record-setting voyage across the Atlantic Ocean. Talk with this team for 5 minutes and your jaw will drop in awe when you hear how ambitious this project is. These intrepid hackers have worked tirelessly to overcome the challenges of an unmanned flight through the upper reaches of the jet stream. Automated ballast systems, cryogenic chambers, weather simulations, satellite communications, Mission Control, FAA comms and the list goes on and on. The team gets special props for designing a new dry ballast system from scratch, with only a week's notice! Good hustle people! White Star Balloon is a triumph of citizen science, dogged engineering and flow charts. Congratulations, and we'll see you on the other side of the Atlantic. Edit: WSB won 2 Editor's Choice Awards. Plasma Arc Speaker: It's a speaker with a spark gap tweeter and it's name is Thor. There's nothing quite like the fidelity of a 6000V arc of plasma. Paul performed a tremendous week-long rush to get a new speaker housing built with upgraded contacts and high-voltage transformer. It was more trigonometry than he signed up for, but he pushed it through. Many visitors to the LVL1 table came by to rock out, see how it works and burn paper in the plasma arc. They had no idea how much danger they were in. Again, thank you to everyone that made Detroit Maker Faire possible. See you in 2012!